By clicking "Accept", I confirm I am a healthcare professional. Need GRANULATION Tissue? Why not try V.A.C. VERAFLO™ Therapy? Combine NPWT with Wound Cleansing! As with any case study, the results and outcomes should not be interpreted as a guarantee or warranty of similar results. Individual results may vary depending on the patient’s circumstances and condition. Are you up for the V.A.C. VERAFLO CLEANSE CHOICE™ Dressing Challenge? 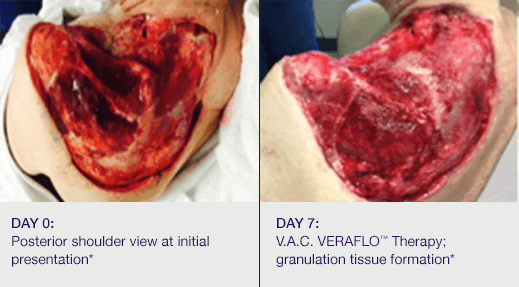 We invite you to submit your patient wound photos from your patient case studies for possible inclusion on VERAFLO.com. The aim of the case studies is to provide practical examples on the application of the innovative V.A.C. VERAFLO CLEANSE CHOICE™ Dressing with V.A.C. VERAFLO™ Therapy. We want to know what you’re doing, what works, what doesn’t, and why. The advantage is that you can share your real world experience with your peers. Explore this website to learn how you can share your experience with V.A.C. 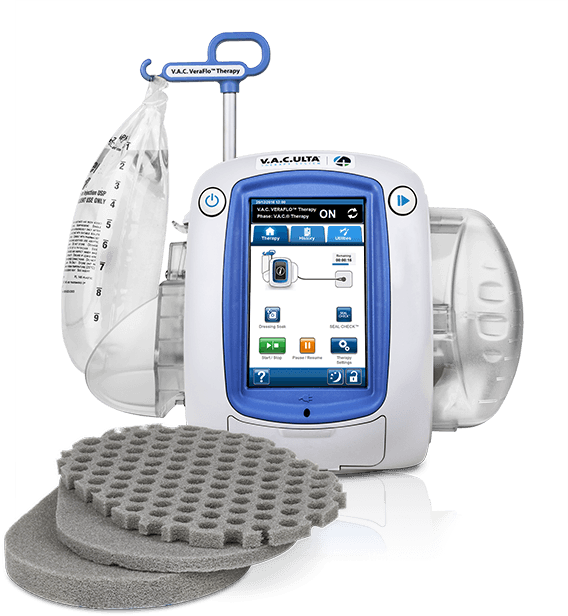 VERAFLO™ Therapy with your patients. Try V.A.C. VERAFLO CLEANSE CHOICE™ Dressings and See the Difference for Yourself! 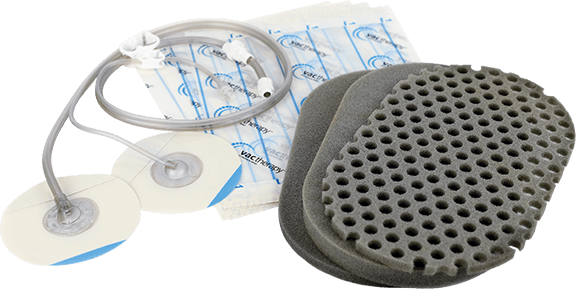 Sign up for your free product evaluation kit today and you'll understand why this innovative dressing is changing the care process as it offers a viable option when faced with non-viable tissue wound cleansing. *V.A.C. VERAFLO™ Therapy was discontinued after 3 weeks. 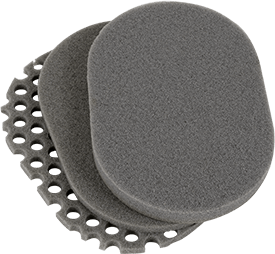 Sterile, freeze dried matrix of 44% oxidized regenerated cellulose (ORC), 55% collagen and 1% silver-ORC (PROMOGRAN PRISMA™ Matrix; Systagenix UK, Inc., Gatwick, West Sussex) was applied to the shoulder for one week until ActiV.A.C.® Therapy (KCI USA, Inc., San Antonio, TX) could be initiated at -150mmHg continuous negative pressure for five weeks. Split-tissue skin grafts were placed over the wound and bolstered with continuous negative pressure at -125mmHg for 7 days. By postoperative week 4 the wound continued to heal without complication.